Sergey Kovalev has found himself in legal trouble due to a felony assault charge stemming from a June 2018 arrest. Kovalev was arrested last summer due to an incident that occurred in Big Bear Lake, California after being accused of punching a woman in the face. Kovalev was released on $50,000 bail, according to San Bernardino County online court records. Kovalev pleaded not guilty this past August when he was charged with assault likely to cause great bodily injury. According to reports, Kovalev was said to have met a woman at a party and after she rejected his advances, he allegedly punched her, which resulted in the woman suffering a broken nose, a concussion and a displaced disk in her neck. 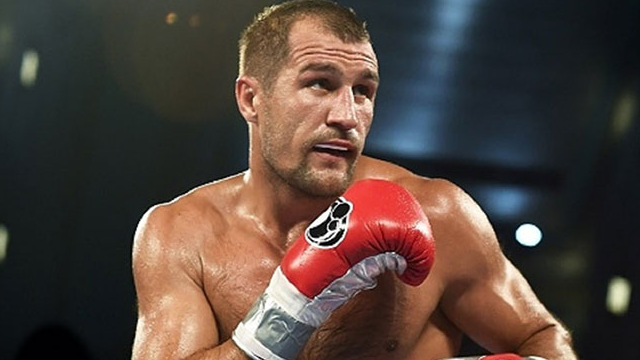 Kovalev is due back in court for a preliminary hearing on March 14 and could face a maximum of four years in prison. In an update from TMZ, the alleged victim, Jamie Frontz claimed in court documents that at one point Kovalev pinned her to the couch, with his hands on either side of her shoulders. Frontz claimed her dog attempted to intervene, causing the boxer to shove the dog away and kick it in the chest. In her suit, the victim claims that they went to the emergency room for treatment for a broken nose, head injuries and a concussion. She also suffered severe back and neck injuries. Kovalev, a former world champion, is currently scheduled to face Eleider Alvarez in a rematch for the WBO light heavyweight title in the main event of a boxing card at The Star in Frisco, Texas on February 2. According to the report, the fight is still happening, joining two other world title fights also scheduled for the event.